Tides of data shimmer at the margins like fireflies on some summer night. Something is there demanding… something… We try to catch it then we slip away. A memory. A feeling. An urgency suppressed. A glimpse through the curtain. A mystery. A debt. What do we see when we stop and listen? Stay with the moment. Look. And look away. Tangential to the noise and frenzy. Through a window. Or a door. Something is happening. Or happened. Or will happen. Now. Time as a well worn circle. Feathers floating down. Sounds come first. Then an image. Words, if they come at all, come individually. They pile up on separate slips of paper and wait to be arranged. But a word by itself is a beautiful thing. Following light trails through the labyrinth of thought. Ordering themselves in stories like pixels in a photograph. And the picture blurs and melts away. I like to crack time open like an egg. Stay with it and go deep. Slow right down and live inside the moment. Until it all comes clear. Measurements in more than one dimension. How an onion peels away to nothing. How a spiral opens a flat plane into space. Stories that circle endlessly but take you somewhere. No longer secure in the order of things. My time is dream time. No past. No present. No future. And the view has changed. A good play of light. Or the spaces in between. Is where I find my work. Spell it out in leaves. I see the world as mythic metaphor on a personal scale and in larger connotations. I flirt with order but I’m fascinated by chaos. I’m enthralled by the element of chance. I create conceptual patterns out of cultural detritus. Organizational systems, information technology, the protocols of war and personal displacement. Each element is examined, dissected and re-contextualized. My goal as an artist is to create an experience that captures a moment and suspends it out of time—a searing vision that persists long after the context gently fades away. 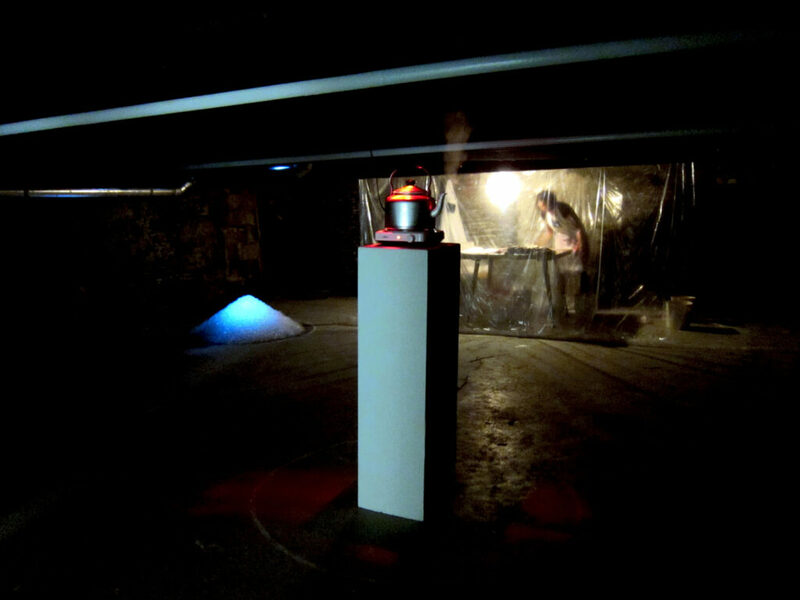 Berenicci Hershorn’s work incorporates performance, video, sculpture and installation. 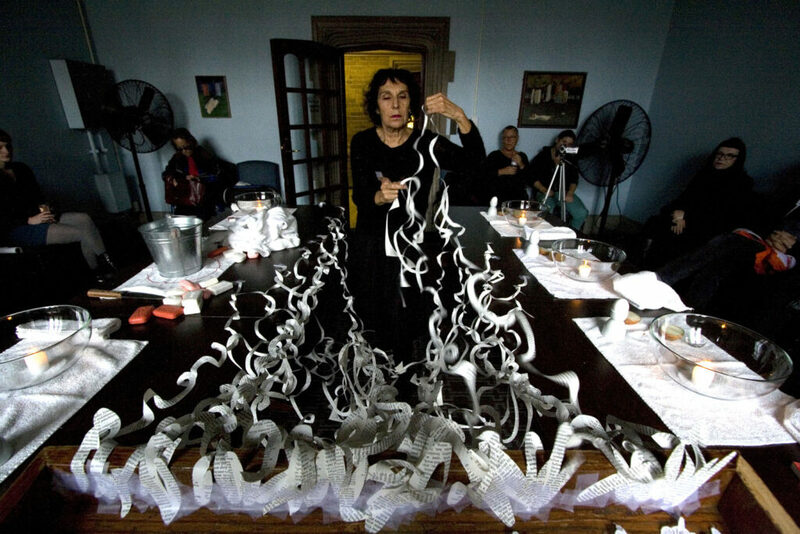 She has produced a unique body of site-specific art over a period of 40 years, as well as public art commissions, solo and collaborative performance work and a recognized international exhibition history.